Amazingly, I am the mom of a 4 year old! Mabel turned four last week. 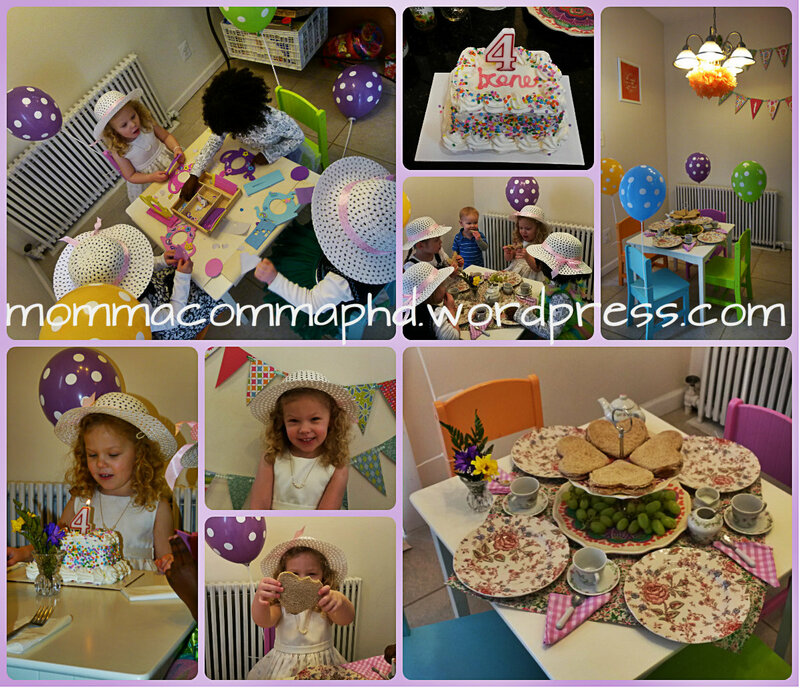 She wanted a birthday tea party, and has been saying so for months. This was the first year she had actual opinions on what she wanted her party to be like. She chose the theme, the menu, her outfit, and the guest list. Thankfully, she didn’t have any extravagant demands. I did limit her to three friends to keep things small and simple for me. Each gal was encouraged to wear her interpretation of “tea party attire.” She chose her best pal from school, her best pal from the neighborhood, and her best pal from the library. My mother-in-law got Mabel this tea party game as a birthday gift. She was inspired by the game in her choices for the menu, namely heart-shaped peanut butter and jelly sandwiches, grapes, and tea. She also requested a birthday cake from Baskin Robbins, so I was off the hook for baking too! 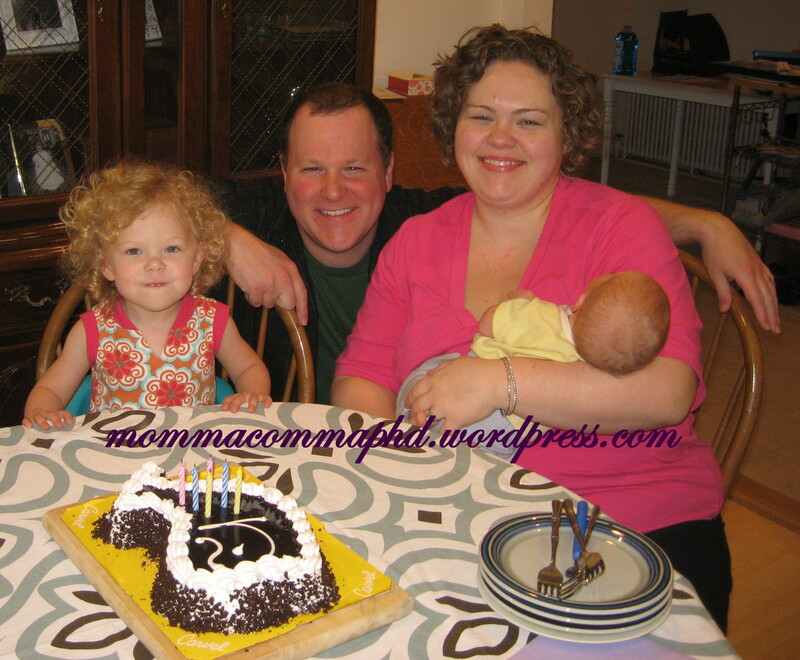 As I have for the past several years, I recycled birthday decorations (see Mabel’s second birthday and third birthday here). The things I picked up are pictured below. 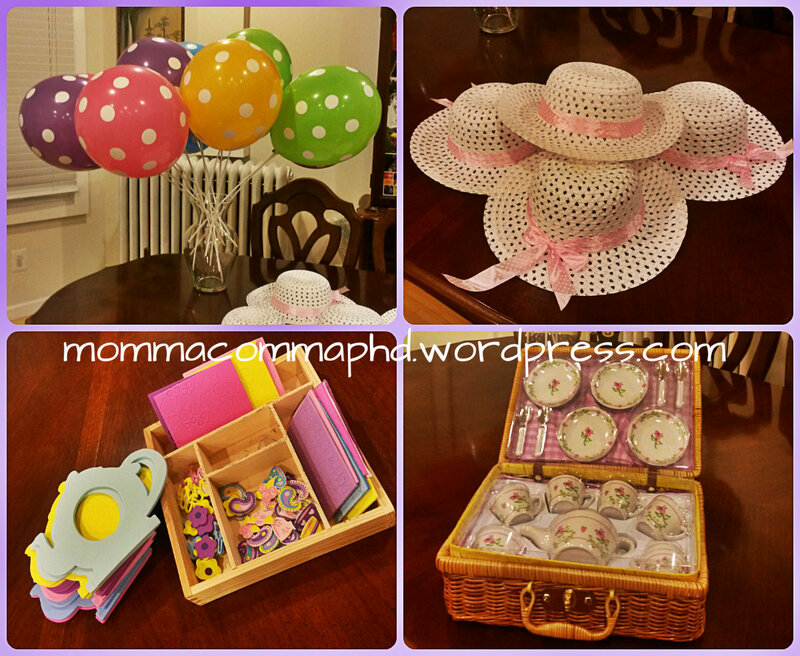 The makings of a birthday tea party: polka dot balloons on balloon sticks, tea party hats, tea pot picture frame craft, and kid’s ceramic tea set. I’ve written before about my #scimom guilt around using helium for something as trivial as a birthday balloon. To avoid that situation, I picked up these balloon sticks. It meant I didn’t have to pay for the balloons to be filled with helium, and they last much longer since floating isn’t necessary (as of this publishing, they are still inflated 10 days after they were inflated). They can be reused, and since I ordered 12 dozen of them, this will now be our go-to party balloon solution and should last us until both kids turn 30. It also made for really cute decorations when we affixed them to the chairs with zip ties. These are the polka dot balloons I purchased. Each girl took a few home with her. As an activity, I purchased this tea pot picture frame craft set. Once the girls were finished making their frames, they went into the living room where Mac took photos of them with the birthday girl. He then printed out the pictures and we put them in the frames for the girls to take home as a party favor. The other party favor were these party hats from Party City. They were less than $2 a piece, and because Mac was able to order them from inside the store, the shipping was free! Of course, no tea party would be complete without a tea set. I did a fair amount of research on Amazon and ultimately opted for this kid’s ceramic tea set. It was Mabel’s birthday present from us. It is child-sized, but it isn’t miniature like a doll’s set (You can see the size relative to a dessert plate in the photos above). It even came with little spoons and napkins, and was inexpensive enough that if pieces break, it won’t be a big waste of money. While she and her friends were having their photos taken in the living room, I laid out the tea service for four. The girls enjoyed serving themselves tea- which spilled all over the place- and even tolerated Nemo crashing the tea party. The party was only two hours, and that was enough time for the craft, the photos, tea/lunch, and some playing. Mabel enjoyed herself, and that’s what matters most. She also did a pretty good job of being a hostess- although there was some conflict over who got what colored seat at the table. At the end of the party, she didn’t want her guests to leave, but there were no tears or tantrums. I enjoy making a fuss over birthdays! Yesterday I turned 34 years old. Overall it was a good day. The morning started with Mabel giving me the birthday card she and Mac had made for me. Work was hectic, but I was able to spend time coordinating some STEM outreach. Traffic was bad getting home, but once I finally did, this was waiting for me on the front porch! 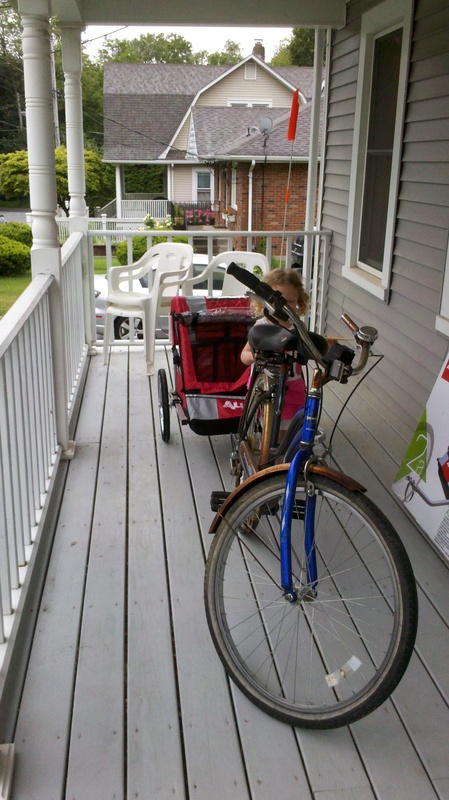 My rusty old Jessica Fletcher bike and my brand new bike trailer! Technically it’s a shared birthday present with Nemo, since a friend had given us money to put towards it for Nemo’s birthday. 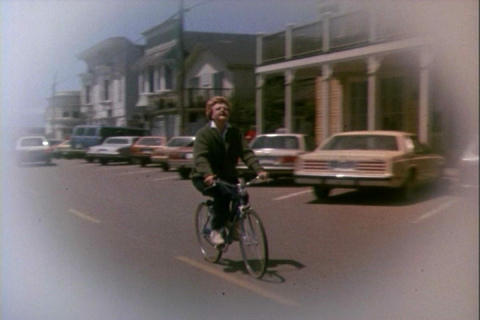 I’m also getting a bike rack for the car, to be installed soon by my dad. I’m looking forward to family excursions! Mabel enjoyed trying it out. Then, just before we went out for dinner at the diner around the corner, Nemo took his first steps! What a gift! Later, the kids went to bed easily. Mac and I laughed out loud watching some Jim Gaffigan standup. I went to bed content and exhausted. That said, there were two women who were on my mind a lot yesterday. One was my mom. It really struck me this year, that my birthday marks the day she become a mom. I think having two of my own now, puts that in a new perspective. While I don’t really think about Mabel’s birthday as the day that I became a mom, I’m thinking of my own birthday as the day my mom became a mom. I wished her, “Happy Gave Birth Day!” This weekend she’s taking the kids overnight (Nemo’s first night away since we’ve started to wean), so Mac (whose birthday was 6/1) and I can celebrate both our birthdays with a night out and a morning sleeping in. We’re lucky to have my mom so close, and so generous with her time. The other woman who was on my mind is my Aunt Millie. I wrote a little about her here when I discussed why I was raising funds for the Revlon/EIF Run/Walk for Women. It was 6 years ago on my birthday that I answered the phone thinking my mom was calling to wish me happy birthday, when in fact,she was calling to tell me that my Aunt Millie had passed away in the night. It was completely unexpected. She had finished her treatment for breast cancer. She’d gotten the all clear from her doctors. 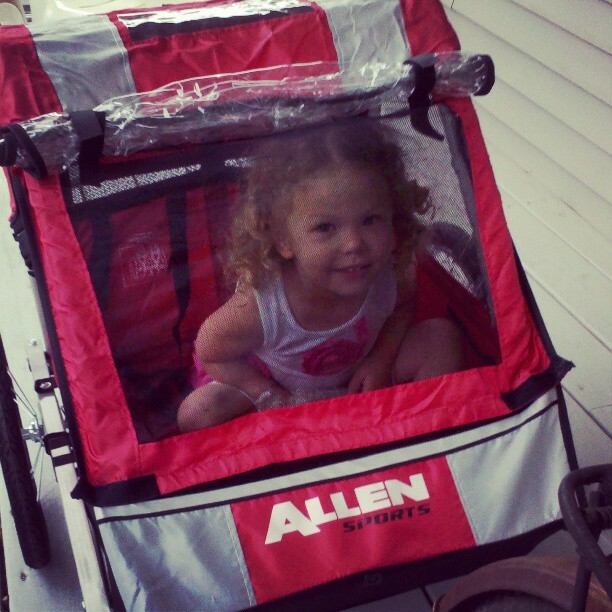 We thought she was home free when a complication from her treatment took her from us. Not a birthday has passed that she has not been on my mind- along with my cousins, her daughters, who lost their mom. I’m so grateful to the friends who helped me celebrate my birthday, and my Aunt Mille’s life, by donating. It was the best gift I could get! Happy, happy birthday, to me. Yesterday I turned 33. It was a great day. Getting off bed rest was my birthday wish. So, after that good news, we took Mabel to dance class and I was actually able to watch her dance around and have a great time. Unbeknownst to me, she told her dance teacher that baby brother cried a lot, could not talk, and that she would teach him how to talk. Very cute. After dance class, we went out for lunch. It was another birthday present because Mabel was on her best behavior and Nemo slept through the entire thing. A lovely lunch. The birthday miracles continued as Mabel fell asleep on the car ride home, and remained asleep after Mac transferred her from the car to her bed. That meant a pleasant and happy toddler for the rest of the day. When she woke up, she helped me open my birthday present- a delicious box of Godiva chocolate! In the evening, my parents came over for dinner. My mom brought everything we needed and prepared it here. It was nice to visit with them, have a relaxing meal together, and celebrate. Dinner was capped off with a Fudgie the Whale Carvel cake compliments of Mac! Overall is was a really wonderful birthday. I’m feeling really well just two weeks out from the C-section (other than the typical lack of sleep). It was great to be out of the house, to spend time with my family. 33 will go down as a great birthday.